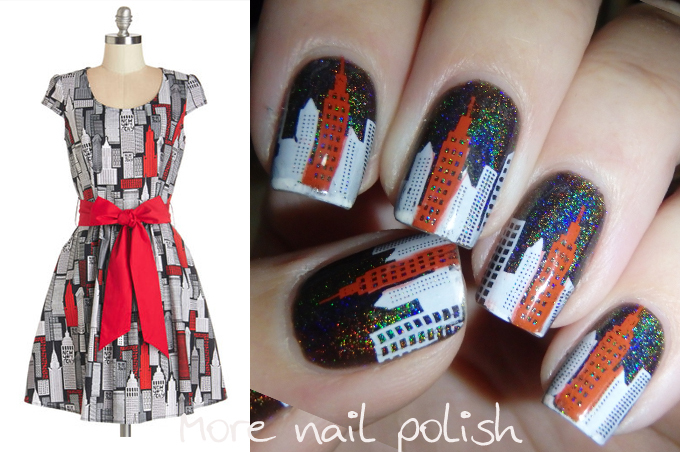 Time for another mani inspired by a ModCloth Dress. If I'm ever feeling lost for inspiration, I jump onto the ModCloth site knowing something over there will pique my interest. 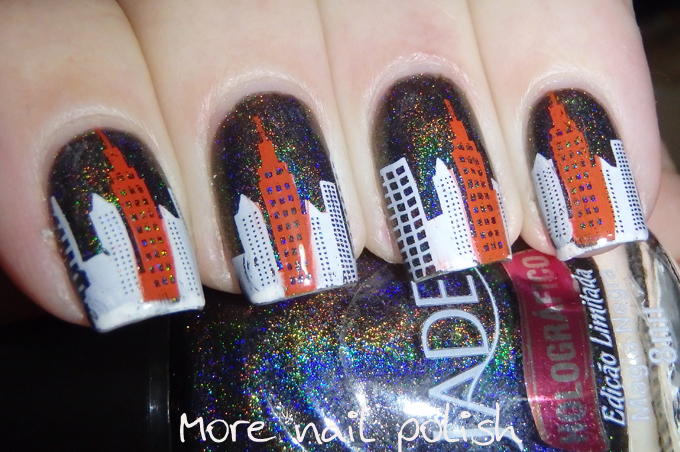 The design that jumped out at me this time was the New York Pretty Dress. I decided I needed something a bit more sparkly than a regular black creme polish for my base, so I used Jade Magia Negra for some awesome holo backup power. 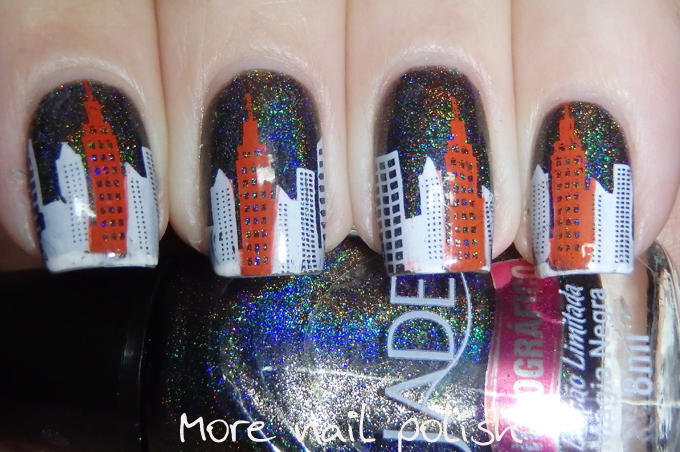 On top of that I did some easy stamping using Mundo de Unas Polishes in white and Reddish. 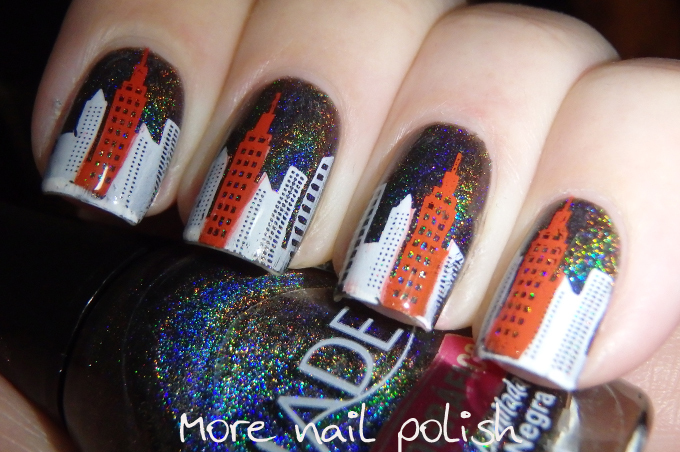 I love that this red polish stamps over black! 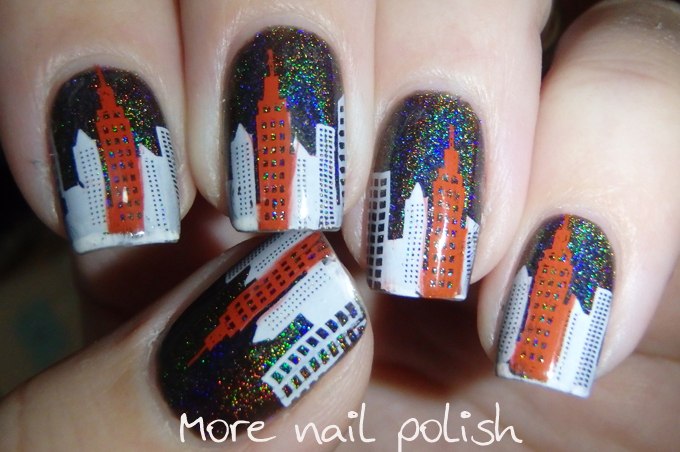 The plate I used was the cite scape design on the BM414 from the 2013 Create Your Own collection. 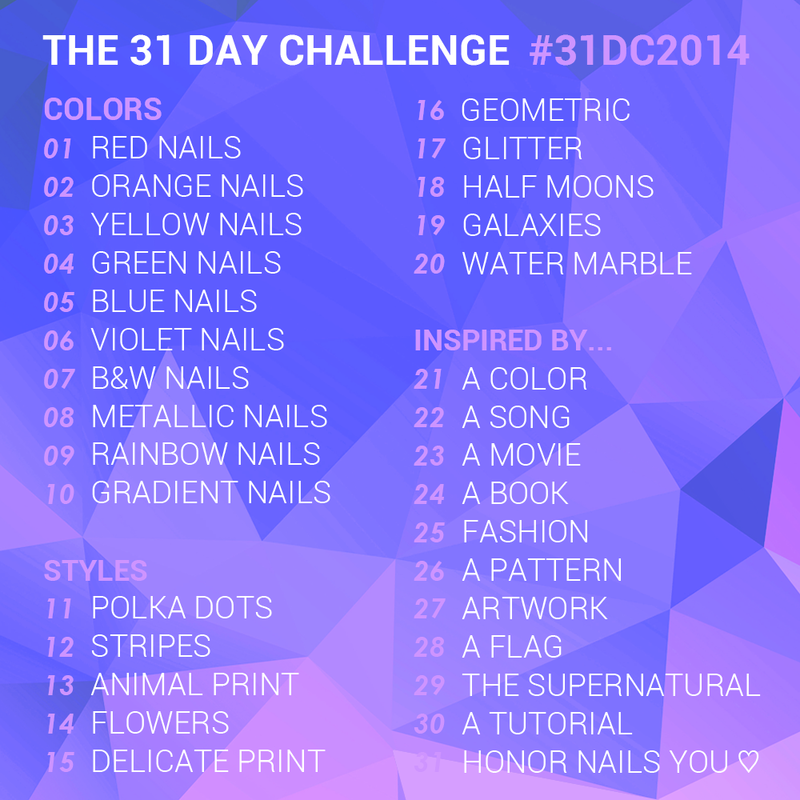 In other news, did you all read Sarah from Chalkboard Nails blog post about the 31 day Challenge? I had so much fun joining in with the challenge last year that I'm absolutely going to attempt it again this year. I produced some of my favourite ever designs during the challenge last year so I just hope I can get my creativity stirred again to come up with some new looks for the same prompts. While there isn't an official inLinkz (everyone should use the tag #31DC2014), last year I set up a daily inLinkz for anyone that wanted to share their 31 Day Challenge work. The inLinkz tool has also been updated to be able to share your Instagram photos. Once again I've set up inLinkz for every day of the challenge. wow. that's amazing. cute dress too.